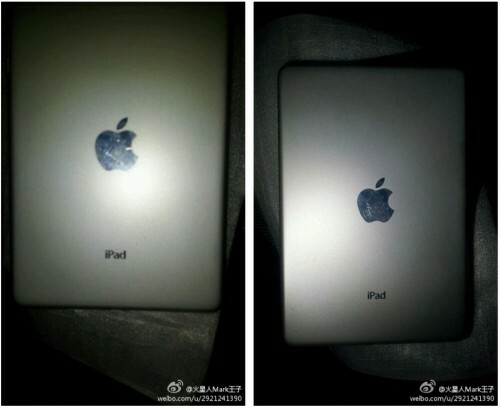 iPad Mini Rear Casing Has Been Leaked! 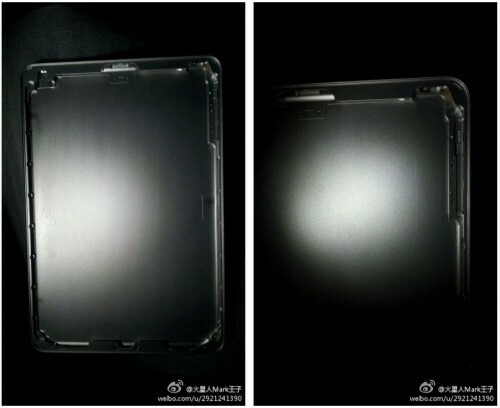 Chinese website Apple.prohas unveiled pictures of what they are claiming to be the rear shell of the rumored iPad Mini. First uncovered on China microblogging website Sina Weibo, the images were posted randomly and first shared by a website that really hasn’t had an established history of sharing leaks so it’s understandable why people would be skeptical. However, let’s pretend for a second that these are authentic and let’s see what these images can tell us about the iPad Mini. A quick glance tells us that in terms of overall form factor, the iPad Mini will look very much like its 10-inch siblings. However, as Mac Rumors points out, it’s very interesting to note that the back does not have any provisions for a rear camera. We’ve shared some supposed cases for the iPad Mini on this website before and all of those feature a hole for a rear camera. However, with no official specifications released by Apple, we have to assume that these third party cases were constructed based on rumors about the iPad Mini as well. If Apple does decide to exclude a rear camera on the iPad Mini, it wouldn’t be an entirely unheard of decision. Google’s Nexus 7 seems to be doing just fine even without one. Currently, rumors point to a September release for the iPad Mini. It is expected to have a screen real estate that’s anywhere between 7 inches to 7.85 inches and a thickness of just 7.2mm, 3.2mm thinner than Google’s Nexus 7. Rumors also say that it will retail for a competitive $250. Be sure to come back for more details about the iPad Mini here on Tapscape!